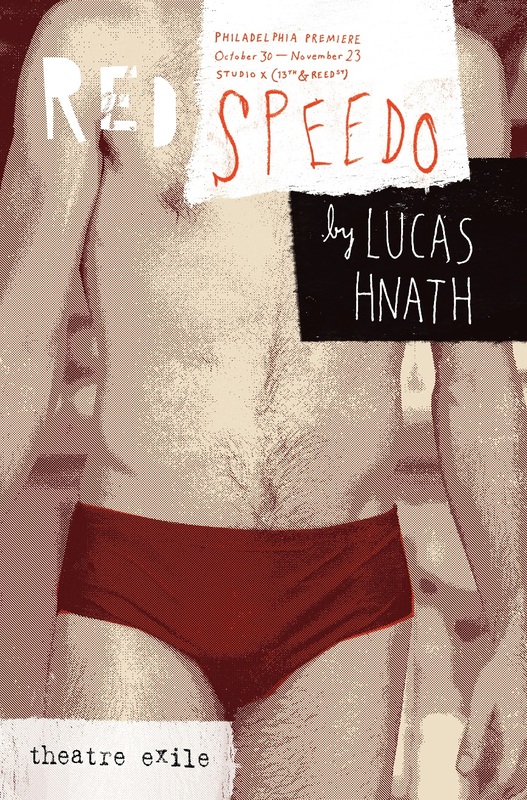 Playwright Lucas Hnath raises serious legal, ethical, societal, and personal issues in RED SPEEDO, his 2013 play enjoying its Philadelphia premiere at Theatre Exile. The script considers the use of performance-enhancing drugs in the context of competitive Olympic swimming, sportsmanship, and the lucrative opportunities afforded winning athletes and their families, while exposing the grey areas in the ongoing controversy that has thrust many popular sportspeople into the headlines. 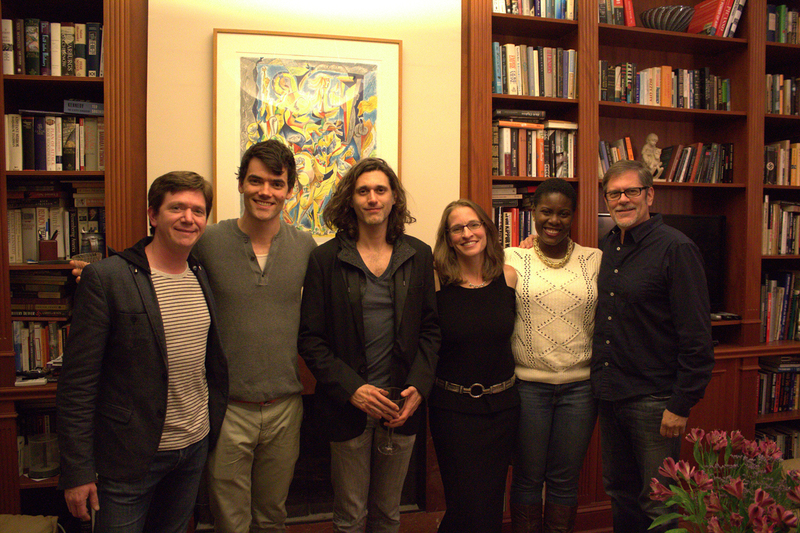 Phindie writer Deb Miller had the opportunity to discuss the theme with the author, director Deborah Block, and actors Brian Ratcliffe, Keith Conallen, Leonard C. Haas, and Jaylene Clark Owens when Hnath (based in New York) was in town for two days of rehearsals prior to the opening on November 5, 2014. PHINDIE: What stimulated your interest in the subject, and what made you decide to address it in a play? 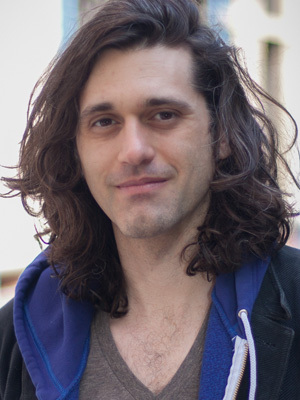 LUCAS HNATH: I don’t remember exactly where it came from—different places, or old plays that I began writing—the process was fragmented. When I started RED SPEEDO, I didn’t know much about sports or doping; I was a swimmer, but that’s as close as I came to the subject. I remember one of the baseball doping scandals was in the news at the time, and I didn’t understand why it was such big news; to me, underneath all of it, was a conversation about fairness and the belief that we are all created equal. People are not comfortable with challenging that notion, and that challenge is at the center of the play. PHINDIE: Why did you choose to approach it as a dark comedy rather than a drama? LH: I don’t know what the difference is; it’s difficult to find a play that doesn’t have a sense of humor. The characters in RED SPEEDO are in a situation in which things keep getting worse. Because we empathize with the characters, the worse the situation gets, the higher the tension gets. And yet in the playing of the scenes the actors never release the tension, and so it falls on the audience to do so, by laughing. PHINDIE: After attending rehearsals at Studio X, what unique elements do you feel the director, cast, and design team are bringing to the Philadelphia production? LH: It’s the first time I’ve seen it staged with a swimming pool, so that’s a new production element for me. There’s a ripple effect; it gives me a chance to test parts of the play, to see how they work with a different set design. RED SPEEDO is a play that’s built for minimal blocking, so even the smallest change in blocking–say, for example, having a character sit when that same character stood in a prior production–can significantly change how a scene works. Of course different actors have a different approach. Seeing in rehearsal how an individual actor approaches his or her role gives me new ideas for how to talk to the actor about that character, and that new way of talking about a character, in turn, further changes how a particular actor might play the role. In this way, the role evolves. PHINDIE: What would you like the audience to take away from the play? LH: My main interest in RED SPEEDO is problematizing something that seems so pat. There was a talkback in DC after the show, and the audience was angry that I might have been saying that doping isn’t so bad. I poked a little hole in it. To me the worst thing is NOT questioning our beliefs; it’s worth it to anger people, it means they’re thinking and responding. In RED SPEEDO everyone is keeping score, and it’s not necessarily bad when you do that, but it is interesting to investigate what happens when you do. DEBORAH BLOCK: The play asks how far are you willing to go, to bend your morals, to get what you want. It’s an important question that inspires self-examination and soul-searching. PHINDIE: Deborah, as the director, what attracted you to the script, what did you find compelling about the characters, and why did you choose it as the opening production for Exile’s 2014-15 season? DB: It’s a quintessential Exile play about the human condition, about how people are forced to navigate the realities of life. It’s direct and sparse and strong storytelling, so well written and so thought-provoking. With sports doping and Michael Phelps’ recent arrest for DUI, it makes you question the American Dream, its pitfalls, and the pressures these athletes are expected to endure to achieve success, fame, and fortune. PHINDIE: The story revolves around Ray, an Olympic hopeful who has some explaining to do when his coach discovers a cooler full of banned drugs in the club’s refrigerator. What is it about portraying him and his situation, Brian, that can you relate to, if anything? BRIAN RATCLIFFE: I think he feels like so much of his life is out of his control, and he’s living his life less for himself and more for others. He would like to be normal, not extraordinary, to have more control, because he’s being tugged by forces much larger than he is. As an actor, I can relate to that; we are completely dependent on what roles are available, what others have written, what emotions we have to express as a character, not as ourselves, as if being carried away by a current. Both professional athletes and professional actors are essentially commodities, both must make large sacrifices (particularly financial) in order to excel in their craft, leaving them without many alternative means of supporting themselves in the event that they do not “succeed.” In this way, athletes and actors are both quite vulnerable. Ray has to make some decisions that are ethically questionable, because he feels he has no other option; he believes that he’s genetically disadvantaged, that he has nothing to lose and everything to gain. 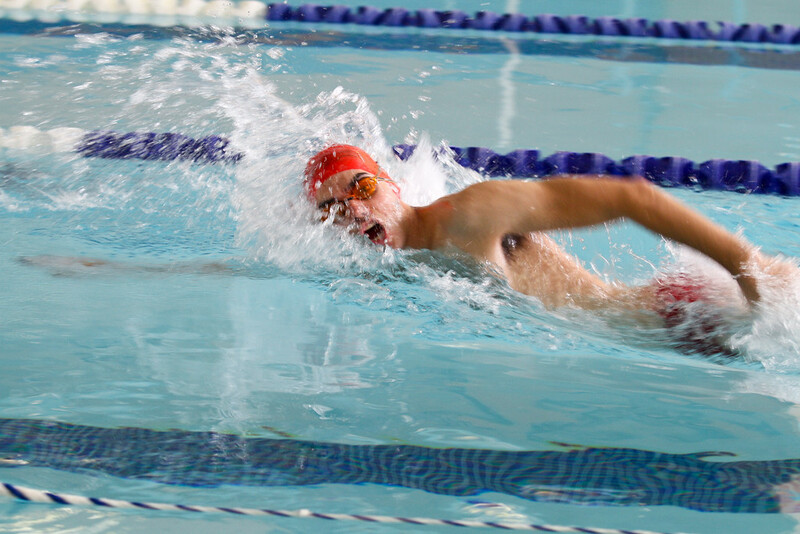 He’s worked too hard his entire life to get where he is, and all he knows how to do is swimming, so he doesn’t want to come in fourth; he needs to level the playing field. At first his logic sounds questionable, but then his justification begins to make sense and you begin to see the grey areas, it’s not all black and white, good or bad. PHINDIE: What qualities do the other characters in RED SPEEDO possess that you can identify with personally, Keith, Leonard, and Jaylene? KEITH CONALLEN: My character is Peter, a lawyer planning to give up his practice to manage his brother Ray’s career. There is a deep connection between the two; Peter wants to take care of his family, but he also becomes frustrated with those demands. There are a lot of mixed emotions; the shades of grey are really fascinating and very human, and relatable for me in terms of family dynamics. LEONARD C. HAAS: I play Ray’s coach, and I relate to my past experience as a kid being coached, and I also coached soccer for two years at my old high school. That made me realize how dedicated and focused you must be; you have to give up a lot for what your passion is; in Coach’s case, it’s to see Ray get into the Olympics. And he does have a good sense of ethics, morality, and doing the right thing, which is very important to me, as well. We all take our moral journeys in the play, as we do in life. JAYLENE CLARK OWENS: My role is Ray’s ex-girlfriend Lydia, who plays a pivotal role in the plot of the show in that she is the one who introduces Ray to the drugs and convinces him to take them—so, NO, I don’t share her values! But she’s tough, she knows how to exist in the world (unlike Ray), and I can relate to that. She also has her vulnerable moments in dealing with the obstacles she faces; she’s been hurt by Ray, who didn’t stand up for her when she needed him, but she does love him—I think they really do love each other–and is being drawn back to him. So there are a lot of different, ambivalent, simultaneous emotions, which we all feel in many situations; things aren’t always so cut-and-dried. PHINDIE: Thank you all for your insights into the complexities of the play and the characters; I look forward to seeing it! [Studio X, 1340 S. 13th St.] October 30-November 23, 2014; theatreexile.org. What a joy reading this interview. Thanks, Debra and everyone involved in this interview.